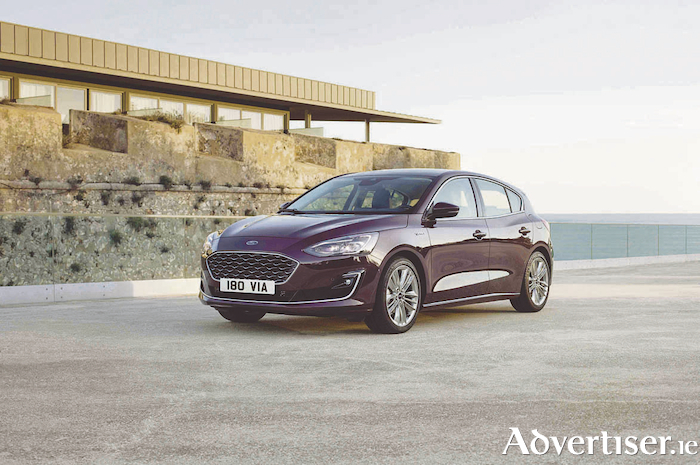 Ford has given a debut to its new Ford Focus, which it claims is its most accomplished and technically-competent Focus. It will go on sale here in July. More than 16 million Focus cars have been sold around the world since the first generation model was introduced in 1998. It was unveiled in five-door hatchback, wagon and in selected markets four-door body styles. Ford says it is the most comprehensive Focus line-up, including the Focus Trend and Titanium, sporty Focus ST-Line, upscale Focus Vignale and the first Focus Active crossover. With the new Focus, Ford boasts it has introduced a new human-centric design philosophy that fuses emotional exterior styling with class-leading aerodynamics; and delivers an interior offering more space combined with high quality materials and craftsmanship. It comes with integrated driver assistance technologies that claim to enable an intuitive, stress-reducing and refined driving experience. Ford says these include adaptive cruise control (ACC ) now enhanced with stop and go, speed sign recognition and lane-centring for effortlessly negotiating stop-start traffic. It also has Ford’s adaptive front lighting system with new camera-based predictive curve light and sign-based light that pre-adjust headlamp patterns for improved visibility by monitoring bends in the road and road signs. It adds that active park assist is included and that now it also operates gear selection, acceleration and braking to enable fully-automated manoeuvres at the push of a button. And it includes Ford’s first head-up display (HUD ) to be offered in Europe, helping drivers focus their attention on the road ahead. The blue oval brand claims the Focus retains its class leading driving dynamics, further enhanced with the first Focus-application of ‘continuously controlled damping’ technology for the independent front and rear suspension systems. New drive modes, an isolated rear subframe for greater refinement, and Ford-patented spring technology also contribute. Ford says the occupant experience is enhanced with comfort and convenience features, including ‘FordPass Connect’ embedded modem for connectivity on the move and a new wireless charging pad for compatible smartphone devices. The powertrain options include a further optimised version of Ford’s multi-award-winning 1.0-litre EcoBoost and new 1.5-litre EcoBoost petrol engine, both enhanced with Ford’s industry-first cylinder deactivation application for three-cylinder engines. New 1.5-litre EcoBlue and 2.0-litre EcoBlue diesel engines deliver ultimate fuel-efficiency claims Ford, and also that a new intelligent eight-speed automatic transmission adapts shift patterns to driving style. Ford says it is controlled using a stylish and ergonomic rotary gear shift dial. Ford says the new Focus is the first vehicle globally to be based on Ford’s new C2 platform which is designed to enhance crash performance and deliver more interior space for Ford’s mid-size models without negatively impacting exterior dimensions. Ford adds that it supports improved aerodynamics for better claimed fuel-efficiency.